The face of war. First, the Israeli fired one or two grenades into the crowded market place. When ambulances, medical staff, helping onlookers and journalists gathered they fired three or four more. 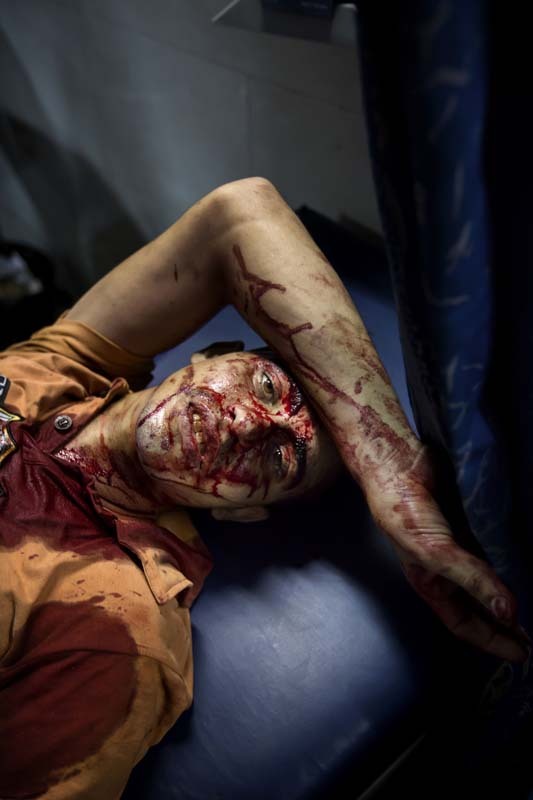 Shifa hospital in Gaza City is quickly filled to capacity with dead and injured.